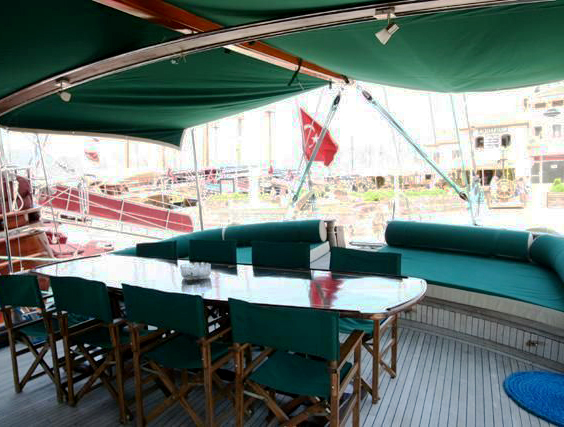 Sailing holidays on a real Bodrum built Gulet. Built in 2008. Fully Air Conditioned! 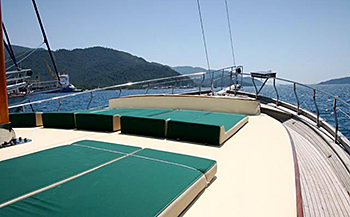 Based in Fethiye - so perfect if you fly to Dalaman. Ideal for a small group up to max 10 person. 1 Master and 4 VIP Cabins. 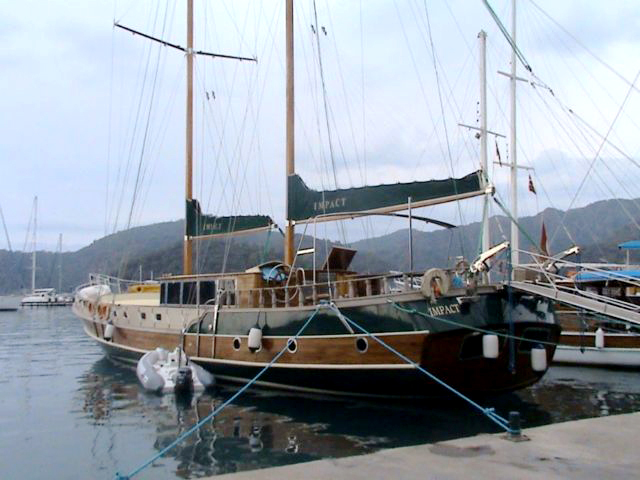 The M/S IMPACT is a 26 meter traditional wooden Turkish Gulet, a spacious yacht built as a Ketch in Bodrum. Her interior is stunningly stylish. You will rather think being in a hotel than on board of a boat. Ideal for a group up to 10 guests. 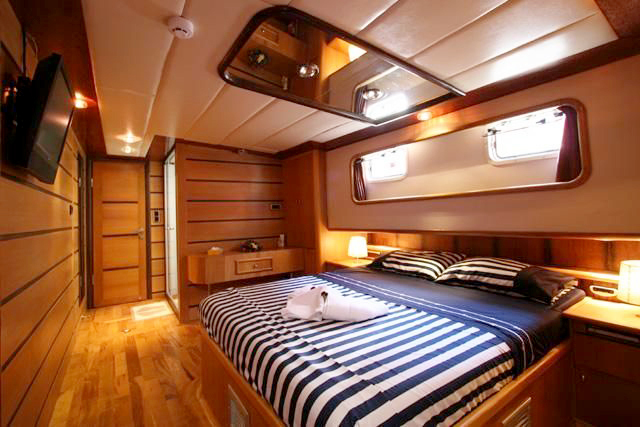 Built in 2008 M/S IMPACT offers spacious very modern and stylish cabins, all bathrooms have a closed shower cabin and toilets with flush system (like you have at home). 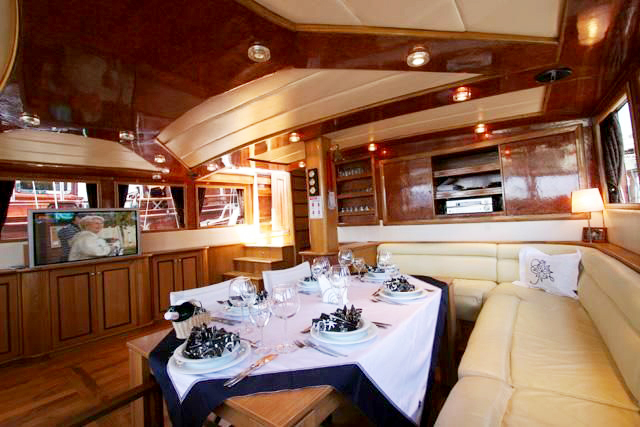 This boat offers all the comforts you would expect to find on a super comfortable holiday. Ample space in indoor-saloon and outdoors dining area. 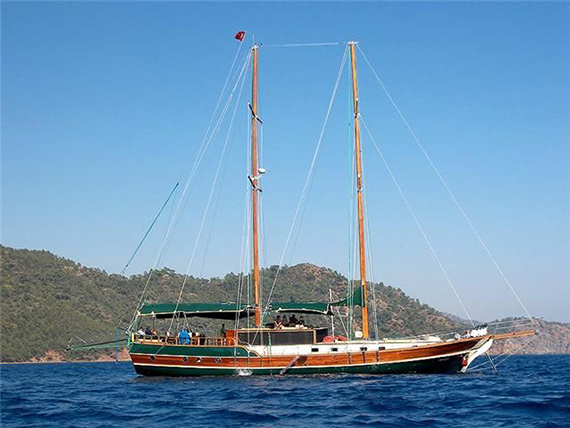 With a 4 people crew this superb Gulet offers you a smooth Cruise trough the Aegean waters. One Captain, one Chef, one Deckhand and one Steward. You might think you will be spoiled – YES you will! Relax and unwind as we sail along the clear turquoise warm waters of the Mediterranean that is home to multi-coloured fish and sea life. Life on board normally involves up to 4 hours a day cruising along the coastline with the rest we spent at anchor in one of the many sandy beached or pebble stones bays. 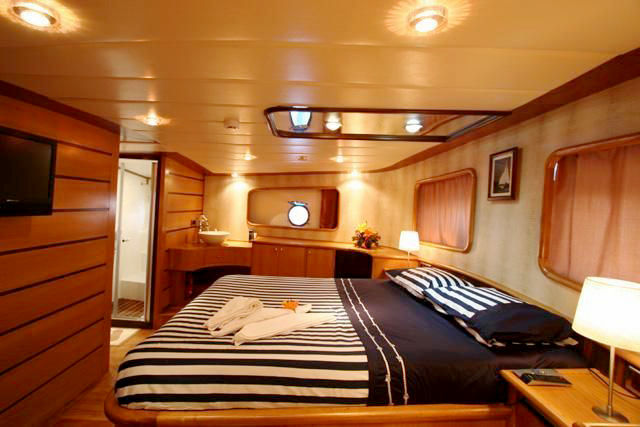 Here you can relax on deck, go ashore to explore, or enjoy the delights of the waters. The order of the day is informal. Only pack what you can get in one rucksack. Forget the ball gowns, high heels, and two-piece suits, this is a chance to live life in the slow lane. You get to know your travelling companies and sample the traditional way of life enjoyed by Turks for generations. What could be more interesting and enjoyable than sipping a local vintage and watching the sun set across the wide space of the Mediterranean on board the deck of your own sailing ship. Dinghy 3,40m with 40 HP Outboard, Snorkelling and Fishing Equipment, Water Ski and Ringo. The M/S IMPACT meets international safety regulations including life jackets, fire extinguishers and alarms.